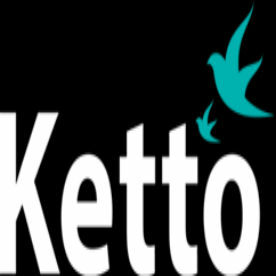 Ketto is one of the first websites in India to provide a crowdfunding resource for individuals and organizations that wish to raise money for a cause. Crowdfunding is still a relatively unknown concept in India, and Ketto’s goal is to raise awareness and educate the population on its uses and how it can help. Medical expenses and education are two categories where people lack funds. Ketto provides and opportunity to Individuals to help others through their platform. Anyone who has a cause they believe in, can create a crowdfunding campaign on Ketto and share their cause to raise funds for their cause.. Till 2015 more than 5000 Individuals have raised over 12cr. The Ketto website makes it fast and easy for individuals and organizations to set up crowdfunding campaigns. The site offers tips to help enhance the results individuals can expect from their campaign. These online fundraising efforts are often much more affordable than trying to raise money through offline efforts and are often more successful. Anyone interested in learning about Ketto and the crowdfunding services provided can find out more by visiting the Ketto website. About Ketto: Ketto is a crowdfunding website that strives to make it easy for individuals and NGOs to reach out and help themselves financially for any cause through crowdfunding. In addition to this, Ketto offers tips and other resources to help make the most of their efforts. Ketto’s goal is to spread awareness of the power of crowdfunding and help people help themselves by harnessing the power of the crowd.